Beautiful 7 +/- acres located in a prestigious popular establishing subdivision with homes surrounding on 1 acre lots ranging up to 375K. water and sewer access are available but not connected. The acreage is generally level with a slight gravity flow slope. The listing agent has previous plats that would have to be reapproved with Jefferson county by purchaser as well as buyer is to rely on their own survey. 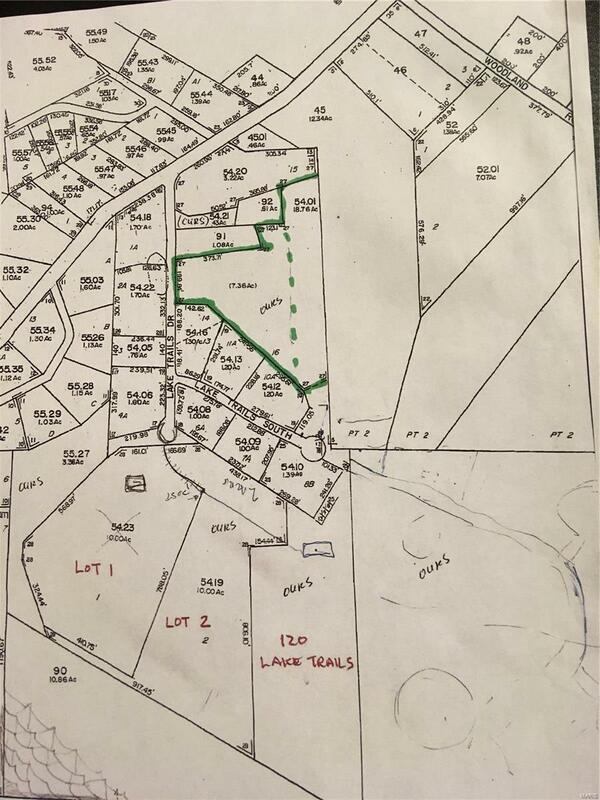 amazing opportunity to build several homes or a few custom homes in a great location. Beautiful land to build on with additional 38+/- acres available in the area also on the MLS # 18005518 under Acreage / rural. Listing provided courtesy of Re/Max Gold. Listing information © 2019 Mid America Regional Information Systems, Inc.